Medical science event: Prevention is life-giving. 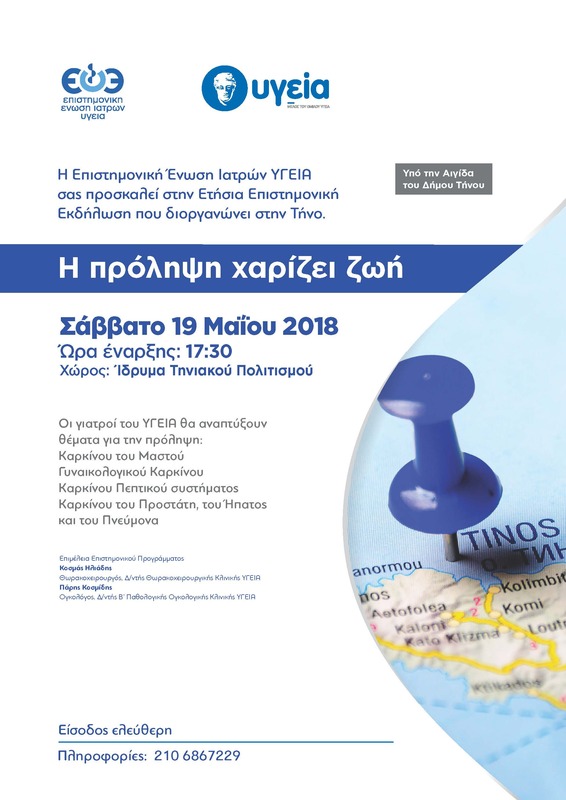 The purpose of the event is to involve the Tinos Medical Association and to inform the island’s population about the importance of prevention. The main event day is Saturday, May 19, 2018, from 17:30 to 20:30, at the Foundation of Tinian Culture, open for all.